Your courses are some of the best around, but it’s not always been easy to demonstrate this to businesses and students, and elevate yourself above the other providers out there. Until now. Our ‘Programme Endorsement’ initiative gives you the opportunity to quickly show that your courses, teaching and materials are exactly what the industry is looking for. Anyone can say that their courses are high quality but only the best can achieve our Programme Endorsement status – allowing you to add our coveted ‘endorsed’ logo to your literature and marketing, and helping you stand out. 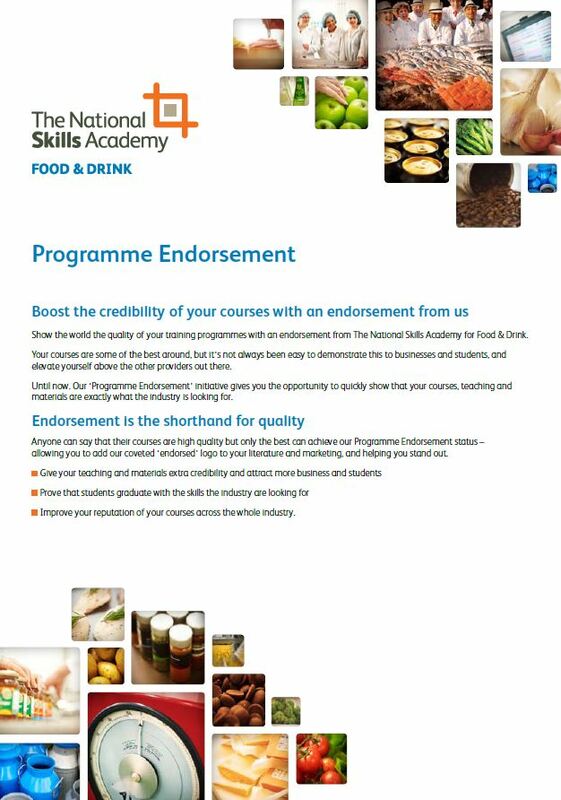 testimonials and outlining how your courses add value to their business. High quality learning providers like yours are already benefitting from achieving Programme Endorsement status, and are enjoying the many advantages this recognition brings. Add this logo to your course credentials and show the world the quality of your training. 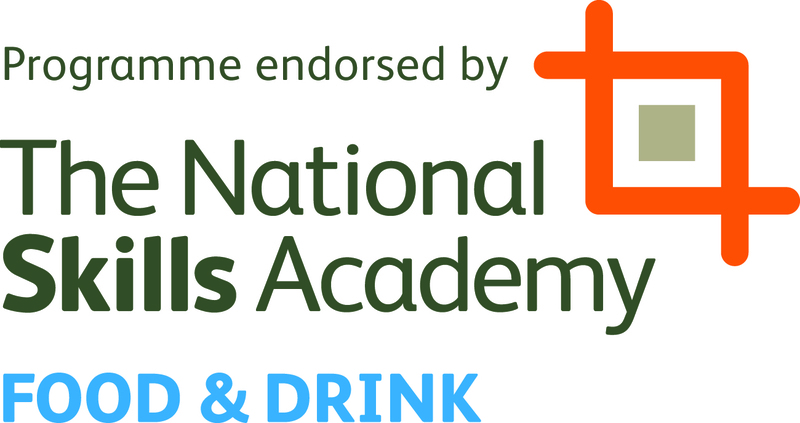 Being endorsed by the National Skills Academy for Food & Drink means your courses are among the best around – and something worth shouting about.